The weather been hot recently, isn’t it. Baking is not so fun when weather is sooo hot, you tend to get all sweaty and tiring during the session that very often, you just want to get it over and done with and will tend to miss out certain steps. Yes, it happens to me all the time ! I hattteee HOT weather. Today was hot as usual, but I knew I have to bake something, to make up for the lack of bakes for the past two weeks. So in one shot, I made an oreo banana cheesecake and many buns ! Somehow I feel that bread will be good if bread flour and yeast are fresh, so I continued on the buns today to avoid keeping the bread flour for too long, like in my previous attempt. Does the picture looks like it’s a non-baked cheesecake ? Haahaa. There’s because I was taking these pictures barely 2 hours after being baked and chilled and while the sun was up, I was snapping these shots away near the window. So the cheesecake hasn’t fully set yet. I will be submitting this to Aspiring Bakers #6: Say Cheese! (April 2011) hosted by Jean from Noms I Must. 1. To make base, stir all ingredients until combined. Press mixture into base of 7-inches cake tin. 2. To make filling, beat cream cheese, sugar, banana flesh and lemon juice until smooth. Beat in eggs, one at a time, beating well after each addition. 3. Then beat in sour cream, cornstarch, banana essence and rum. Stir in crushed oreo biscuits until blended. 4. Pour filling into tin. Bake in preheated oevn at 170 degrees for 40-45 minutes or until cooked. Leave in oven with door slightly ajar until cooled. Remove and chill in fridge. 5. Decorate with banana slices and chocolate. I find that mini-buns are “easier to swallow”. As we all know, bread can be very filling if eaten too much on its own. 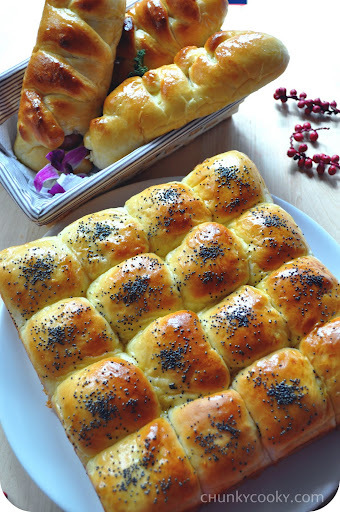 With mini-buns around, we just need to pop away a minimum quantity without wastage. The balance can also be shared by others without looking unsightly as compared to a half-eaten bun. 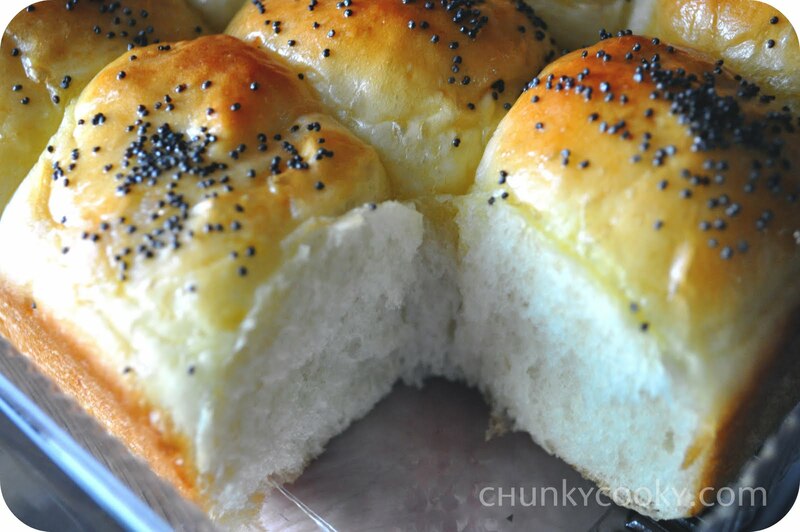 The buns are soft and fluffy….thumbs up again for Alex Goh’s bread recipe ! Can you see this is obviously an amateur’s piece of work ? Haahaa ! It’s my first time using this method to shape the buns ! It looks awful, isn’t it ? The knots are too thick and the buns are slightly overburnt because I was busy with the cheesecake while baking this and totally forgotten to monitor the baking !Nevertheless, I will be submitting this as well to Aspiring Bakers #6: Say Cheese! (April 2011) hosted by Jean from Noms I Must. Here’s a whole lot of buns baked in a day, and with one cheesecake as well ! Gosh, how to finish ?!?! Recipe adapted from Alex Goh’s [Magic Bread] with modifications. 1. Add the boiling water from A into flour, mix until well blended to form dough. Cover and set aside to cool. Keep it into refrigerator for at least 12 hours. 2. Mix B until well-blended. Add in C and knead to form rough dough. Add in A and knead until well-blended. 3. Add in D and knead to form elastic dough. 4. Let it proof for 40 minutes. 5. Divide the dough into required weight and mould it round. Let it rest for 10 minutes and ready to use. 6. Further divide the dough into individual size at own’s desire and and wrap in filling. 7. Proof further for 50 minutes. 8. Bake into pre-heated oven at 190 degrees C for 12-15 minutes. The cheesecake looks inviting! I love your soft and fluffy bread too! 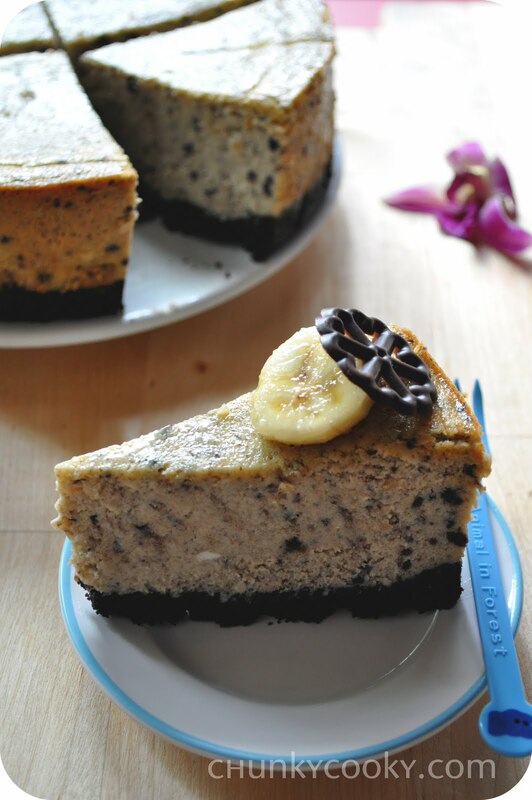 the oreo banana cheesecake look extremely tempting! 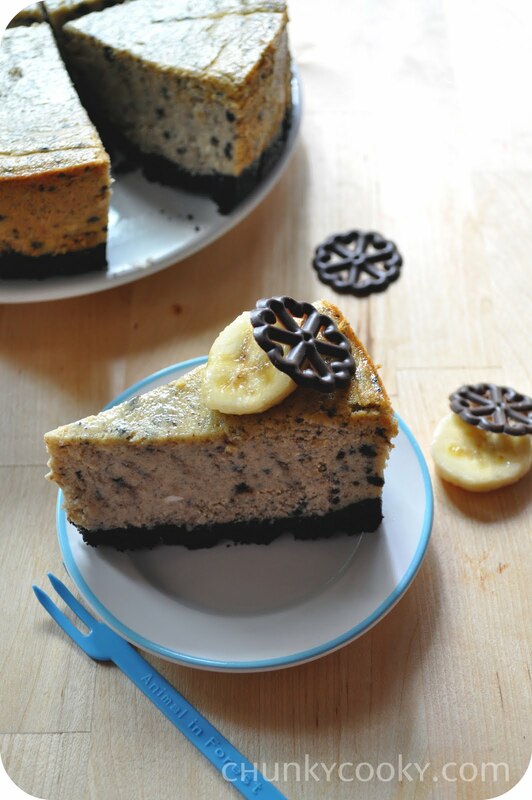 the combination of oreo and banana is extremely good! (: is a GREAT JOB for the bread. not at all awful (: is so lovely, soft and yummy!! wow you did a whole lot of baking for a single day! 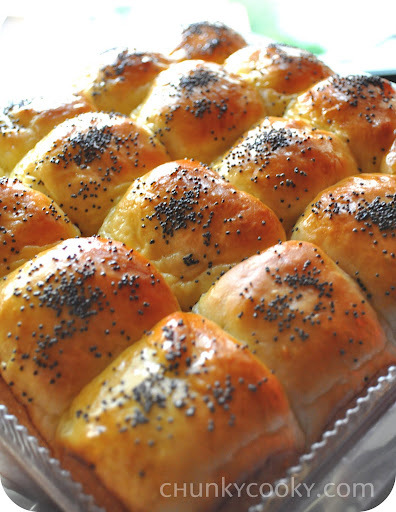 i especially like your buns – they look so so so so good, and no, they don't look like what an amateur's bread at all! all looks just PERFECT. My cheesecake always cracked. what is your magic? 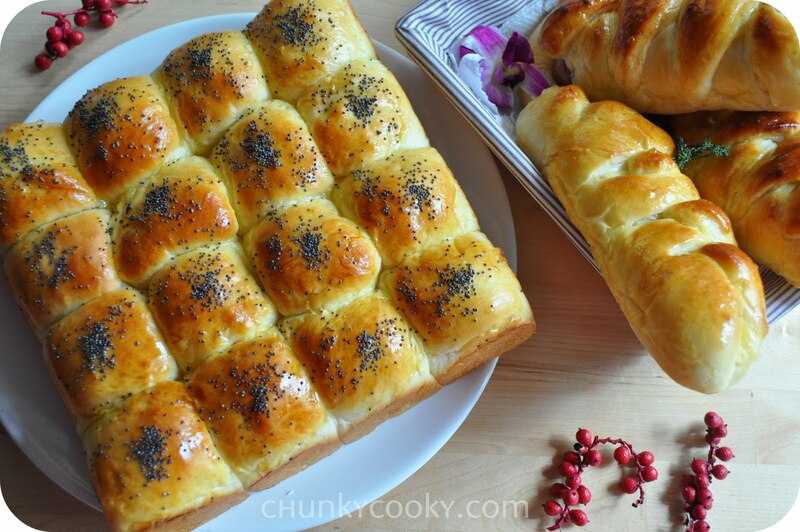 Whenever I see delicious looking buns/bread, I'll be itching to bake some myself too, lol! 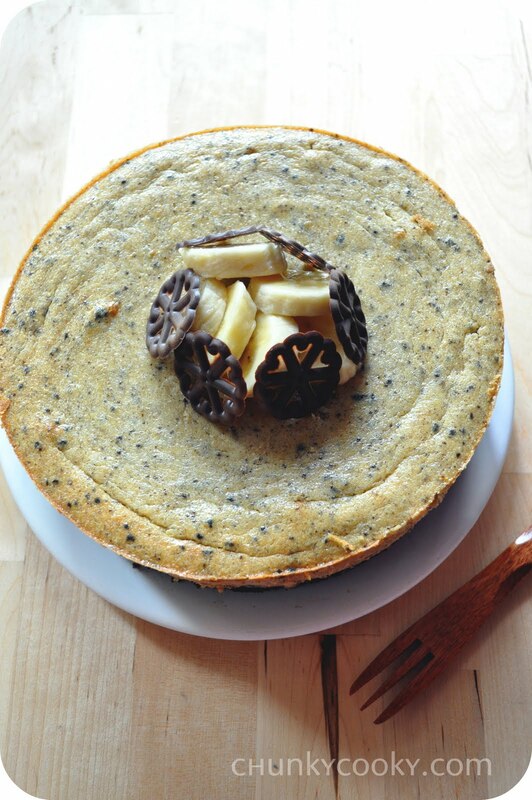 The cheesecake looks really luscious too, yum! Nicely taken photos! hi joyce! the internet line keeps going down, i think my comment didnt get thru earlier. Just want to say that your cheesecake looks gorgeous and so are your buns! you sure can bake! you been working hard Joyce! beautiful spread of dessert and bread! 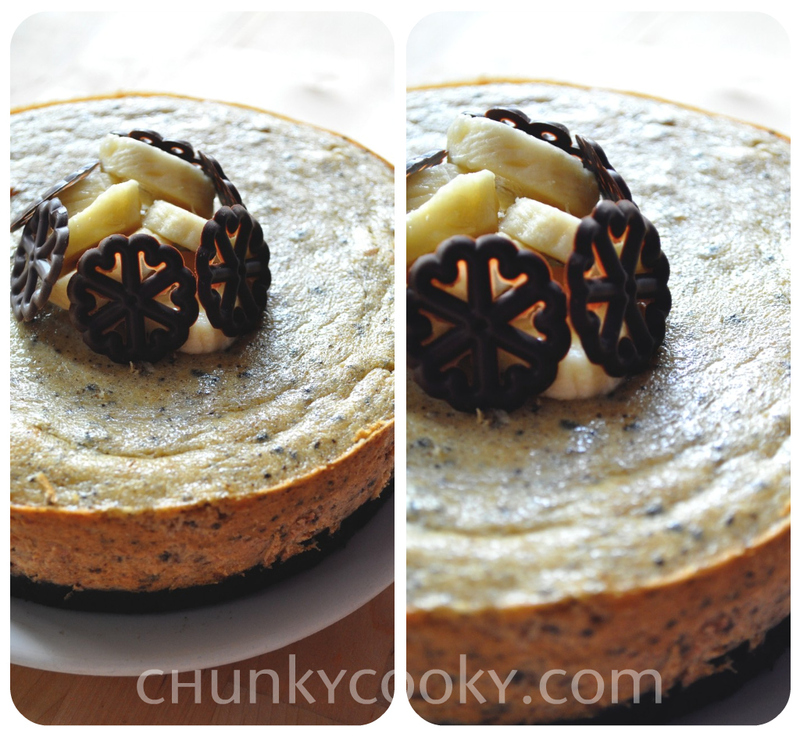 Joelyn ~ Yes, it's great if you love the combination of bananas+oreo+cheese. :)Ah Tze ~ Thanks for your compliment! Yes, I love the bread too!Sweetylicious ~ Thanks for your compliments ! Hmm.. I think the pictures can't tell much. But the actual thing does look awful to me ! Heehee.Janine ~ Thanks for your nice words. I guess the pictures have done me a favor. But the actual stuffs are really awful, at least to me… Heehee.Edith ~ Hmm… I always leave the cheesecake to cool down in the oven after baking with the door slightly ajar. Maybe that helps ? You try too and let me know whether it works for u. :)Honey Bee Sweets ~ Yes, freshly baked buns from the oven tastes the best ! Make some now !Lena ~ Thanks a great deal for your nice compliments. I think everyone here can bake too !The Addicted Baker ~ Thanks ! Do bake one now and try it too !DG ~ Sure, sure. Let me have your location next time and I will courier some to you. :)Jess ~ Hardworking once in awhile only. As you know, the lazy bug wins most of the time. Heehee. 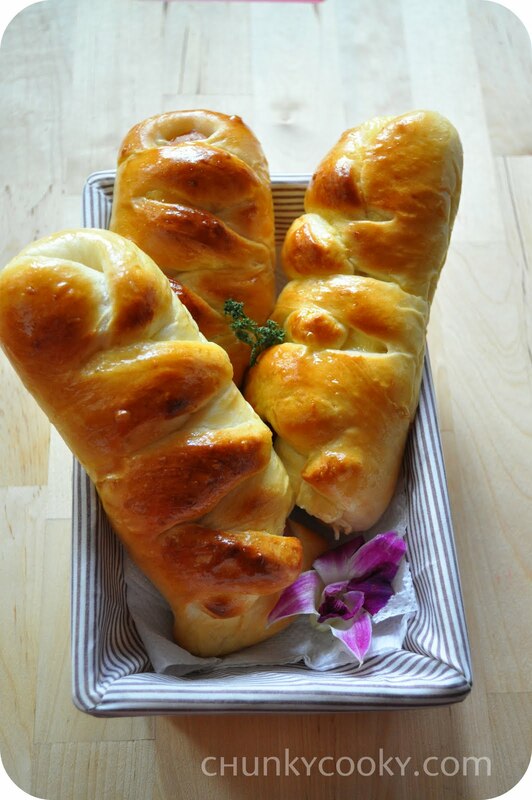 You have been working very hard in your kitchen and both your cheesecake and breads look so professionally made! I'm like you too…sometimes, I cook too much and there is heaps of leftover that we (just the 3 of us) get sick of the large amount of food. Zoe ~ yes, we had the same problem! So in the end, most of the time, I had to give all the leftover away.. Jean ~ Thanks ! Yeah, only once in awhile when the lazy bug doesn't visit me. Heehee.Hanushi ~ I bought the clover chocolate from Sun Lik Trading at Seah Street. They have many other designs too.